The dynamic and endearing album has enthralled fans with singles “Clyfford” and “Crystal Key,” and now the entire EP is available for all your listening pleasure. The cassette/digital is available on April 29th via Exploding In Sound Records. 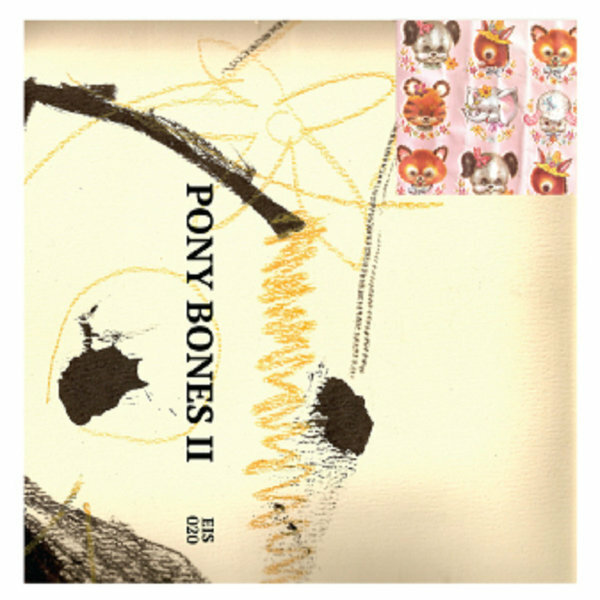 Comprised of Matt Robidoux (Speedy Ortiz) and Kate Hanlon (ex-Kendra), Pony Bones II is a quick burst of indie influenced noise rock, with equal focus on the catchy and memorable melodies as the atonal dissonance and experimental freakouts. Matt Robidoux is an extremely creative songwriter capable of warming hearts and blowing minds amid the strange depths of guitar noise and tape manipulation. Hanlon’s drumming is impeccably in tune with Robidoux’s chaotic squalor, as the two show an undeniable chemistry, sounding instinctually tight while playing deceptively loose. Pony Bones are a rare breed.